As the weather is gloriously sunny at the moment we have been doing nearly all of our activities outdoors. 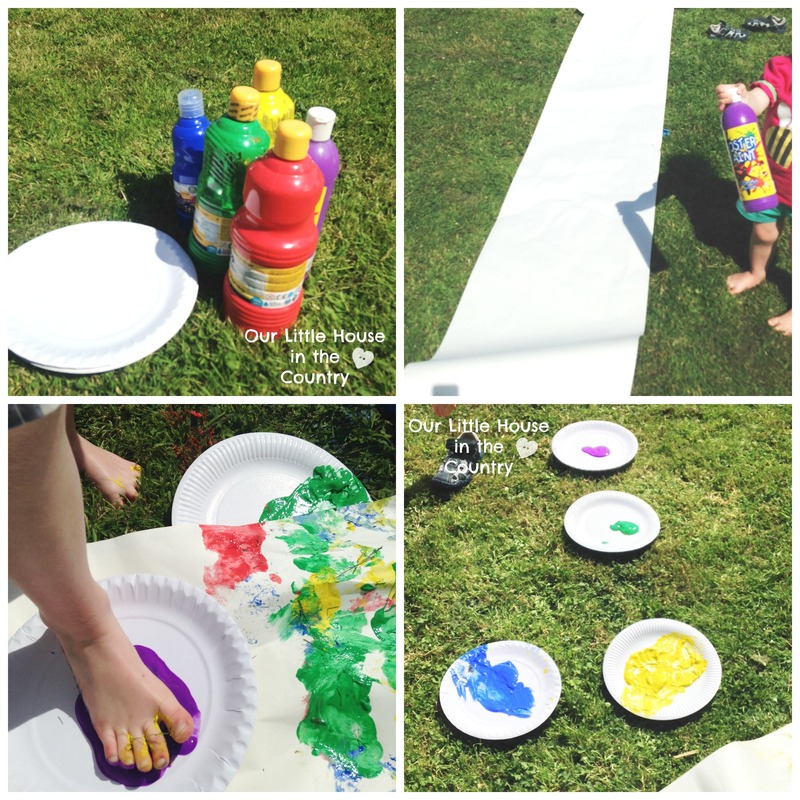 Over the weekend we had the opportunity to do several art projects outside, you may have seen our Miniature Garden project which was really great fun. 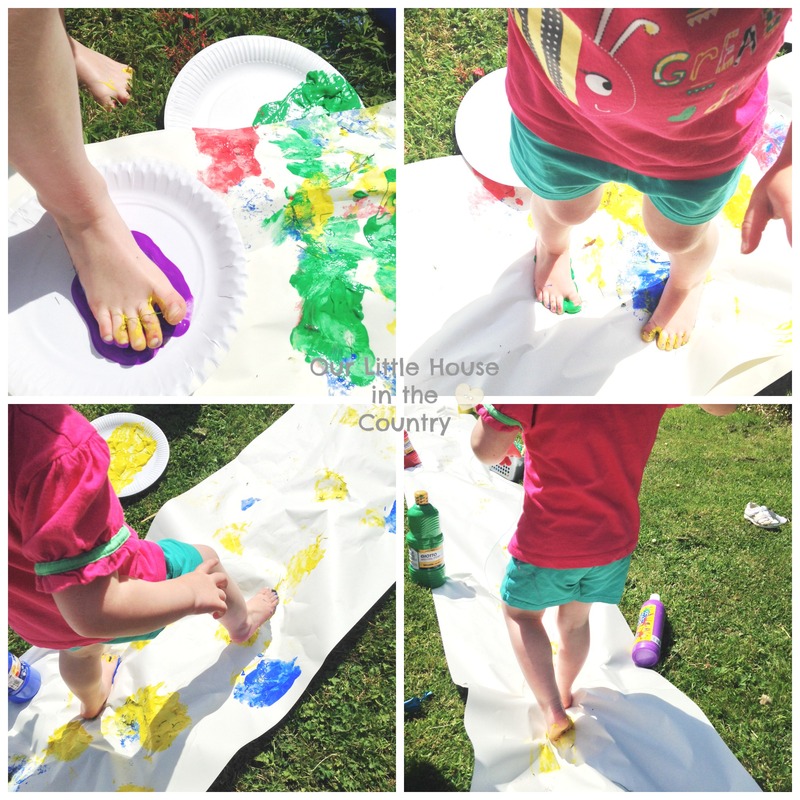 Another little project that we had great fun with was feet painting – this also has a lovely sensory and messy quality to it so it is sure to capture your little ones’ imaginations! Long sheet of paper – we buy several rolls of “newsprint” paper from Ikea every few months – cheap and cheerful and great for big projects and everyday painting (the rolls fit onto the Ikea kids easel and we keep this set up either in our kitchen or on the patio all of the time so that the kids can paint or draw with chalk or dry wipe markers whenever the feel inspired!) Any long piece of paper or card will do, an old roll of wall paper would be perfect! Poster Paints – in a variety of cheerful and bright summer colours. Paper plates – any tray or even a piece of card would do also. We unrolled along piece of paper and secured it with paint bottles and rocks to stop it blowing away. D and O poured paint on to the paper plates. Off came their shoes and they stepped into the paint and then stomped up and down their “runway”, changing the colour every so often. 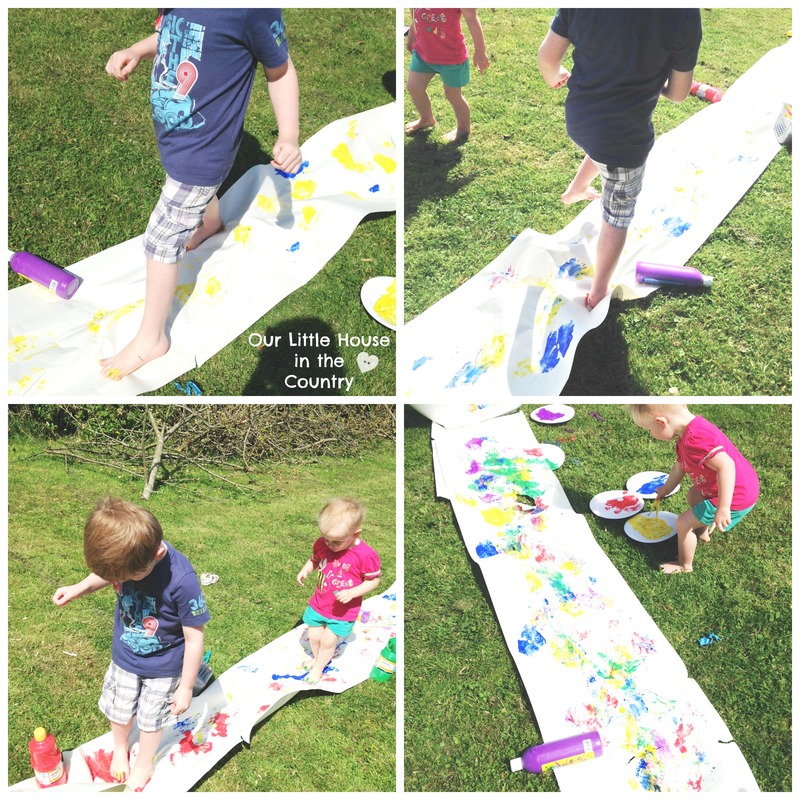 They pretended to be dinosaurs stomping, little mice scurrying and skidded along the page, making lots of fun marks and various types of foot prints. Once they were finished they both jumped into the paddling pool and washed off there feet. 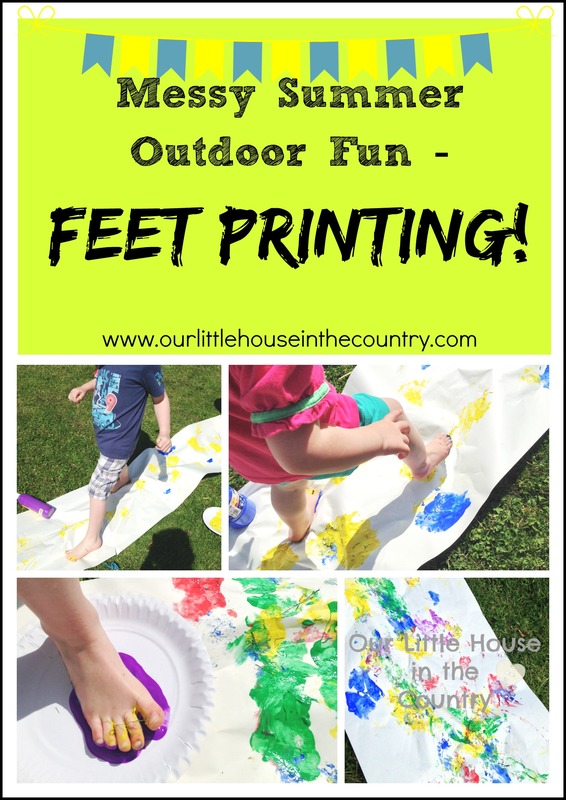 This is a short and sweet activity – only takes 10-15 minute, but so much fun and fantastically messy! 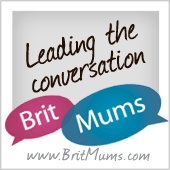 As always I love to hear what you have been up to and how you have been keeping your little ones busy and creative over the summer months. 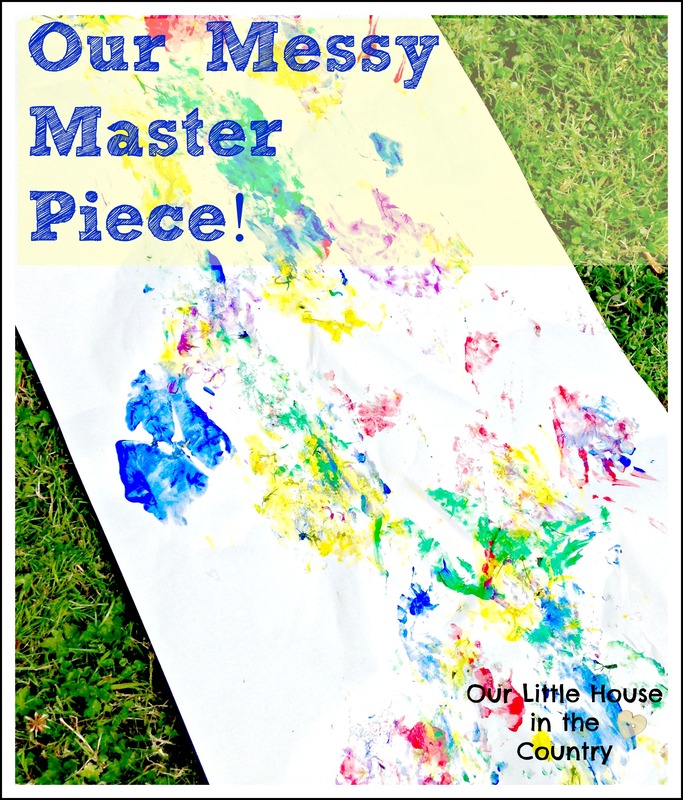 Have you been messy and creative outdoors recently? Let me know in the comments and as always please feel free to leave a link to your post on kid friendly activities on our Facebook Page and I’ll gladly share and pin it! 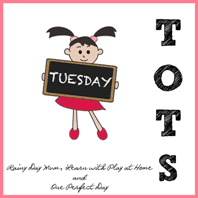 I am a huge Pinterest fan and I have ALOT of boards with everything to do with kids, parenting, family life and home making! I have several group boards and I’m always looking for new contributors – take a look and let me know if you would like to join and contribute to any of my group boards – leave a comment on one of our (Our Little House in the Country) pins on the particular board/boards you would like to join and I’ll add you! Ooh we were going to do this last week but then we ended up bing too busy and didn’t get time. Such good fun Lyndsey! We sort of have a tradition of doing it at the start of each summer!!! !